Uh-oh, I'd better issue a sensitivity warning before going on, because this article reports on electrocution data gathered via empirical testing that demonstrates a difference between men and women, especially since men fared better. Charles Dalziel, inventor of the ground fault interrupter (GFI) circuit, subjected men and women to increasing electrical current levels to determine how much each could take and still be able to release the small wire carrying the shocking current to their hands. The average "let-go current" was found to be 16 mA for men and 10.5 mA for women. Clearly sexism is present somewhere in the test... if you look hard enough. Maybe he chose women with sweaty palms and men with dry palms, of prior to the experiments women were given drinks with high sodium content (e.g., Gatorade) while men drank distilled water. Or, maybe there really are differences between men and women (other than the unavoidably obvious). It is foolhardy for radio/TV technicians to remain ignorant of the nature of electric shock and methods of resuscitation. Hey, Mac," Barney said to his employer as the two of them sat side by side on the service bench drinking a couple of Cokes that Matilda, the office girl, had brought in from the drugstore next door, "do you remember our talking two or three weeks ago about the alarming number of patients believed to be accidentally electrocuted in hospitals each year?" "Yup," Mac answered with a mouth full of cracked ice. "Well, that started me thinking: here we are working with all sorts of voltages and currents day after day; yet I know precious little about the nature of potentially lethal electric shock or methods of resuscitation. Suddenly that seemed about as smart as for a nakehouse operator to be ignorant of reptiles and to be without snake-bite serum." "So what did you do about it?" "Boned up on both departments. Reading helped a lot but I also checked with Red Cross headquarters, the new intensive care ward at the hospital, and the emergency squad at the fire department. As a result, I now feel I know a lot more than I did about how electricity can injure the body and how to counteract the effect of such injury." "And if I know you," Mac said with a pretended sigh of resignation, "I'm about to become the beneficiary of your new knowledge." "You're darned tootin'," Barney said. "After all, it's more important that you know all this than that I should know it, because what you know may save my life." "That's what I like about you: always looking out for the other fellow! But what does electricity do to the body?" "Lots of things, mostly bad, at least when applied accidentally. A high-voltage current can arc at the point of contact and sear the flesh there. This you can see. But an autopsy often reveals that heavy current literally cooks the flesh along the entire pathway through the body. Currents heavy enough to raise body temperature appreciably produce immediate death. Relatively high currents may produce fatal damage to the central nervous system. Such currents flowing near the heart may cause cardiac arrest, and those flowing through other nerve centers can stop breathing." "You're talking about heavy currents such as would be produced by contact with a high-voltage line, but a high percentage of electrocutions are produced by household voltages. How much current is really dangerous?" "That's a good question, and C. F. Dalziel of the University of California and W. R. Lee of the University of Manchester tried to find some answers. 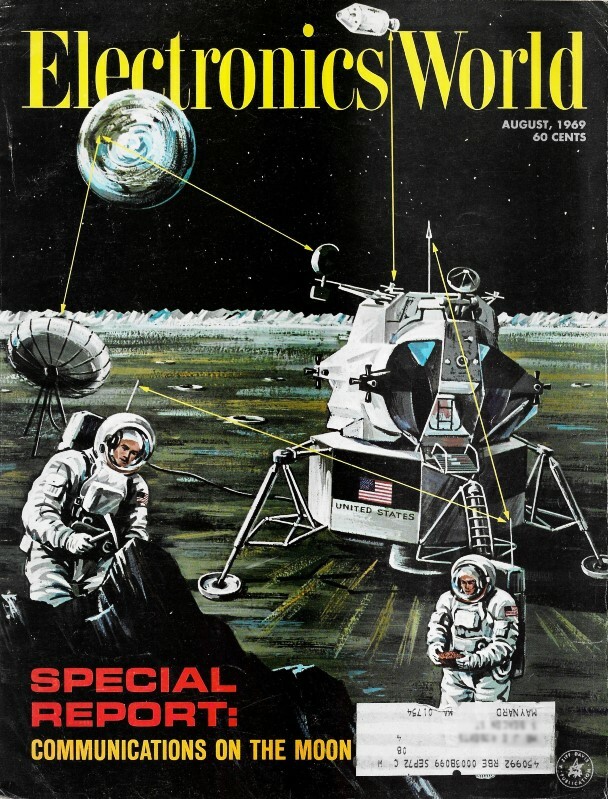 Their findings are written up under the title 'Lethal Electric Currents' in the IEEE Spectrum for February, 1969. The first thing they wanted to find out was the let-go current for human beings." "Hold it!" Mac interrupted. "What's a 'let-go current'?" "It's the maximum current at which a person can still release a conductor by using muscles being stimulated by that current. It's very important because a person can withstand repeated shocks by current below this value - at least stand them long enough to turn loose - but a slightly higher current 'freezes' the victim to the conductor. Since the damaging effect of electric shock is a function of both the amount of current and the length of time the body is subjected to it, you can see the critical let-go current, which determines whether or not the victim can voluntarily free himself from the electrical circuit, is most important. "Dalziel and Lee exposed 134 men and 28 women to increasing current to determine how much each could take and still be able to release the small wire carrying the shocking current to their hands. The average let-go current was found to be 16 mA for men and 10.5 mA for women. While physiological development, especially in the arms and wrists, greatly influenced the let-go current, psychological factors played a part, too. The highest let-go current was obtained on a physiology student who boasted he was as good as any engineering student." "I'm not sure average values are of much use in a case like this," Mac objected. "I still remember the guy who drowned in a river that 'averaged' only a foot deep." "The gentlemen doing the testing agreed with you; so they decided a reasonably safe limit for electric shock would be the 0.5 percentile let-go value. On this basis, it was found safe let-go currents could be considered approximately 9 mA for men and 6 mA for women. Incidentally, no essential difference was found between 50 and 60 Hz as far as let-go current was concerned. "Next the gentlemen turned to finding the minimum fibrillating current. As you know, the several causes of ventricular fibrillation include the flowing of electric current through the heart muscle. While this current does not actually damage the heart, it deranges the functioning of that organ. Individual muscle fibers are thrown out of sync, so to speak, and are no longer coordinated. Instead of working together to produce the rhythmic, life-giving pumping of blood through the body, they contract individually and at random, resulting in a twitching, trembling of the heart that renders it useless for circulation. "Ventricular fibrillation is considered the most dangerous electric shock hazard because once it starts in man, it practically never stops spontaneously; yet the brain begins to die two to four minutes after it is deprived of a supply of oxygenated blood. If the victim is to be saved, he must receive prompt rescue and immediate and continuous artificial respiration until other resuscitating measures are available." "I'm curious as to how the minimum fibrillating current for human beings was determined. Sounds like a great place for non-destructive testing." "You can say that again! Any current above the let-go value is considered dangerous; so the only recourse is to extrapolate results obtained on animals to man. This introduces uncertainties, but it's the best we can do. Most of our previous information came from work done by Ferris in 1936 at Columbia University and the Bell Telephone Laboratories; by Kouwenhoven in 1959 at Johns Hopkins University; and by Kiselev in 1963 at the U.S.S.R. Academy of Sciences, Moscow. In 1968 Dalziel and Lee presented a new analysis relating minimum fibrillating current to both body weight and shock duration. "The experimenters electrocuted dogs, pigs, sheep, and calves totaling in the hundreds to obtain their information. The test procedure was to apply a series of well-spaced shocks of gradually increasing intensity until fibrillation occurred. Electrodes were applied to the right front limb and the opposite rear limb so current flowed through the animal's chest. The 0.5 percentile values were again used to indicate either the maximum non-fibrillating current or the minimum fibrillating current. "I'll not try to tell you about the various individual findings, but they boil down to this: the minimum current causing ventricular fibrillation is proportional to body weight and inversely proportional to the square root of shock duration. In 50-kg mammals, the relationship is approximately EQUATION HERE. It is believed unlikely that a normal adult will experience fibrillation if the shock intensity is less than EQUATION HERE, where T is in seconds. For example, this works out to be about 58 mA for a four-second shock." "So that's how you start fibrillation. I'm more interested in how you stop it, or rather how you revive a victim of electric shock." Before answering, Barney fished a final piece of ice from his glass with his fingers and popped it into his mouth. "One of the best sources of that information I've found," he said, "is the Resuscitation Manual, A Guide for Electric Utility Companies, published by the Edison Electric Institute at 750 Third Avenue, New York City. It stresses that the victim should be freed from contact with the current as quickly as humanly possible with safety to the rescuer for two reasons: (1) the longer the current flows through the victim's body, the greater is the likelihood of irreversible injury, and (2) the sooner artificial respiration is started, the better his chance for survival. If he is not breathing or his blood is not circulating, the possibility of successful revival declines steeply with every passing minute and becomes extremely low after about four minutes of elapsed time. "The actual method of artificial respiration used will depend on the victim's injuries. Mouth-to-mouth insufflation is the best because it assures positive movement of air into the lungs, but facial injuries sometimes make this impossible. By the same token a broken arm or fractured ribs may make the Back Pressure-Arm Lift method inadvisable. The point is that a person should be acquainted with two or three methods of artificial respiration, and an excellent step-by-step diagrammed source is that Resuscitation Manual I mentioned or A Supplement on Artificial Respiration issued by the American Red Cross. Better still is to attend a class on this subject put on by the Red Cross or some other safety organization where actual demonstrations on dummies or models are used. Seeing artificial respiration given by an expert or practicing it yourself under supervision is far superior to getting your knowledge from diagrams in a book, for this is a case where a little knowledge can be a dangerous thing. This also applies to external cardiac compression used to start a reluctant heart by compressing the chest with the heel of the hand so the heart is squeezed between the sternum and the backbone some sixty times a minute to provide artificial circulation of the blood because this should not be done if the victim has a pulse, if his ribs are broken, or if the pupils of his eyes remain widely dilated. "The main thing is to keep artificial respiration going until the patient starts breathing on his own or until a doctor declares him dead. Rigidity is not necessarily a sign of rigor mortis because mucular tension is always present in electric shock cases. All else failing, a 'defibrillator' may be used by a doctor to stop fibrillation. This is a hair-of-the-dog-that-bit-him technique because it syncs the uncoordinated heart muscles with a current of up to fifteen amperes sent through electrodes attached to the chest and permitted to flow from 0.1 to 0.5 second." "Let's see if I have all this," Mac recapitulated: "A current as low as 9 mA can freeze a man to a current-carrying conductor. Slightly more current can start his heart fibrillating. If his heart is not freed from this condition by external means within four minutes, his chance of survival is very poor. Artificial respiration, external cardiac compression, and the use of a defibrillator comprise his best hope of being revived. But artificial respiration and cardiac compression techniques should be properly learned to be really effective." "You get an A on the course!" Barney applauded.